Prepare egg replacement according to packing instructions (or mashed banana) and stir with milk and nut butter. Combine flour, cocoa powder and baking powder with (sweetener) and vanilla and add. Stir until your dough gets smooth and thick. Grease a mug with coconut oil and fill in the dough. 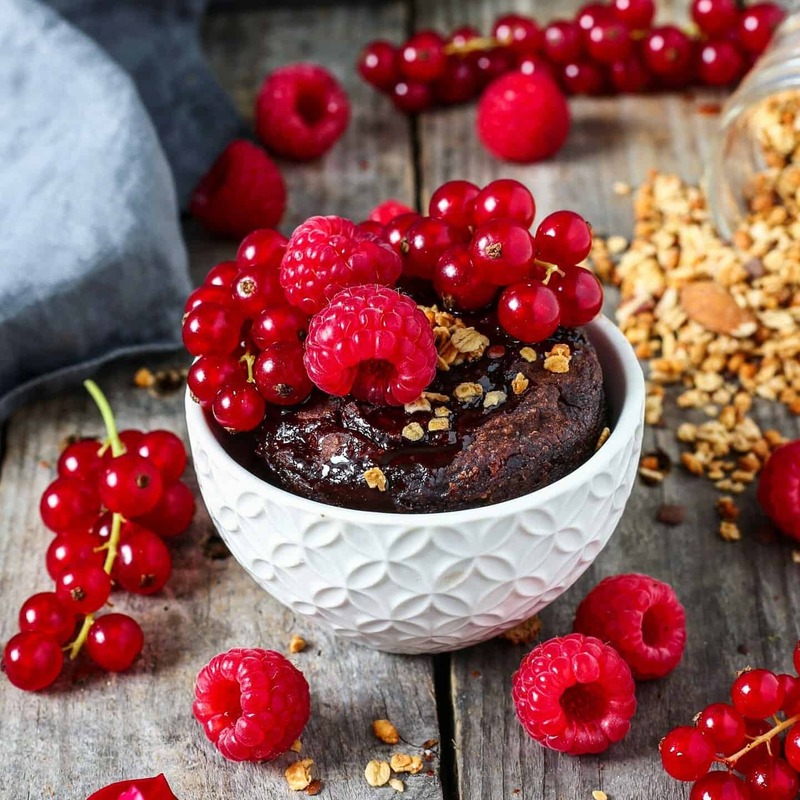 Bake your mugcake for around 3 min in the microwave. Best mugcake I’ve ever tried! So glad to read this ? Hey bianca, is it an option to bake it in an oven?. I dont use microwave..
Sure you can bake it in the oven. Please make sure that your cup or casserole is made for the oven. I would recommend to bake the cake for about 10-15 minutes. Then test with a tooth pick. As soon as only a bit of the dough sticks on the stick, the cake is done ? if you prefer it more moist, you should reduce the baking time. Amazing mugcake. Easy and fast. It was just the thing I needed for my breakfast! Thanks for this recipe! I made in the oven tho, needed 20min for a perfect moist cake. ??? I‘m happy that you like the recipe ? Thanks for the great inspiration! I created my own grain-free version and baked it in the oven. So yummy! Today I used your recipe for mugcake, it was a success. I love it so much. Thank you so much for the recipe and for the inspiration.